As a physician, Dr. Lawrence Levin counseled patients coping with chronic pain. After undergoing back surgery, however, he himself began to suffer dramatically. Previously, he’d pursued his vocation, embraced family life, and reveled in sports. 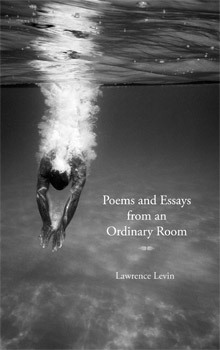 Now, he found himself confined to “an ordinary room.” In response, Dr. Levin turned to exploring the inner chaos pain brings, and embarked on a spiritual quest in prose and poetry to describe his life and visions. These moving illuminations, accompanied by the renowned photographs of his brother Wayne Levin and the spiritually evocative art of Rebecca Horne, will be companion and solace for others suffering from pain and for those who love and care for them. Always an active sportsman and physician, Lawrence Levin became disabled in March of 2009. This book is a collection of prose and poetry that represents his personal journey through anger, resentment, fear and sadness to acceptance and an embrace of the richness of life.